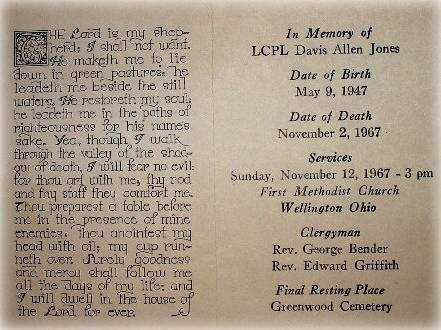 These are a few of the things that we have kept to remember the sacrifice that Davis made. These glasses were returned with his other personal things. 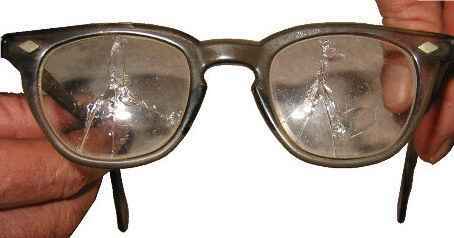 Hard to see in this poor picture, they always intrigued us as kids because the cracks in both lenses look like peace symbols. This is a memory card from Davis' funeral.